A 10-year-old boy from Kentucky has committed suicide after allegedly being bullied over his colostomy bag. Seven Bridges, who had endured many health problems since he was born, was found dead by his mother Saturday morning after she returned from the grocery store. “I saw my son dead. That’s something in my head,” mother Tami Charles told WHAS-TV. 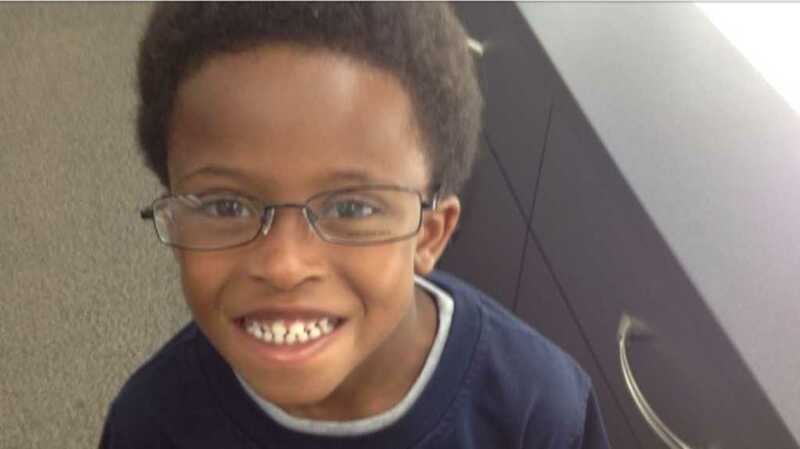 Seven’s father, Donnie Bridges, was out at a church choir practice when the young boy decided to end his life. “For the few minutes that we left, he didn’t want us to see that,” Bridges explained. Following his birth, Seven underwent several different medical procedures, including the insertion of a colostomy bag — a life-saving procedure that is performed on many who suffer from serious digestive and intestinal illnesses. As he grew older, physicians determined that Bridges no longer needed the bag, so they removed it. However, as sometimes occurs following the removal procedure, waste began to leak, and Seven’s classmates began to taunt and make fun of him for the associated smell. These cruel kids clearly had a profound impact on the boy’s state of mind. “Twenty-six surgeries from the day my son was born. Twenty-six surgeries. He just wanted to be normal, that’s all,” Donnie Bridges explained. The bullying became so severe that, on one occasion, Seven was choked and called a racially derogatory name while riding on the school bus. A kind boy with no violent tendencies in his nature, Seven decided not to retaliate against the despicable torment he was facing at the hands of his classmates. Seven’s mother immediately contacted the school and demanded that an investigation be opened at the earliest possible opportunity. Unfortunately, this ended up only making things worse for her son. “Because I was so aggressive in advocating for him, they started to act differently toward him,” she said. Soon afterwards, Seven’s parents discovered their son weeping in his bedroom. Despite his pleas to “let the past be the past,” his peers continued to persecute him. Tragically, it appears that, as a result of the fierce torment, Seven had made up his mind — he no longer wanted to live. Now, Seven’s parents are claiming that the school did not go far enough to stamp out the relentless bullying. A GoFundMe page has been set up to help the family pay for funeral expenses. “His death is an example of what can happen when we choose not to take the issue of Bullying seriously,” reads a description on the page. The GoFundMe also features links to several videos Tami Charles took of herself making complaints to the school over her son’s bullying. Over $50,000 has been raised for the fundraiser in just two days, with hundreds of people leaving comments of condolence and support. “May his sweet little soul rest in peace. Bless you for being able to forgive, and let those who hurt this little boy remember the impact their words can have on others,” one person wrote. How prevalent is bullying in schools? According to StopBullying.gov, more than one in four U.S. students have been bullied at school. In addition, 70.6 percent of young people say they have seen bullying in their schools and 70.4 percent of school staff have witnessed bullying. How can we prevent it from happening? Multicomponent programs that address multiple aspects of bullying behavior and the environments that support it. Examples include examining school rules and using behavior management techniques and social-emotional learning in the classroom and throughout the school to detect and provide consequences for bullying. So, with these things in mind, may we all be vigilant, bold and swift in the action we take to battle against the bullying that is plaguing both our schools and wider communities. Do pray for Seven’s family at this heartbreaking time, and ask that God gives them courage and tenacity in their work to eradicate bullying for good.